Located along the majestic Minnesota River, the fabulous city of Eagan, Minnesota, boasts an excellent location, plentiful entertainment opportunities, beautiful residences, and much more. When you choose to live in this outstanding city in Dakota County, you will not struggle to find enjoyable ways to fill your free time. Regardless of your interests, you are certain to find fun activities that complement your favorite pastimes. Because this exceptional city is located approximately fifteen minutes from the thriving Minneapolis-St. Paul metropolitan area, you will always have something new to discover both in and around this gorgeous city. Stellar Eagan single-family homes and townhomes are ready to impress you, so now is the time to consider what it would be like to live in this spectacular city. Whether you are interested in nature, nightlife, shopping, the arts, or something else, this splendid city will not disappoint you. For example, if you enjoy spending time in nature, you will appreciate the wide array of beautiful parks, natural areas, and lakes. Imagine enjoying a peaceful stroll, an exhilarating bike ride, or a delicious picnic lunch. These fun activities can easily be part of your everyday life when you a resident of this attractive city. If you enjoy shopping, the incredible Twin Cities Premium Outlets is a great place to look for unique items. 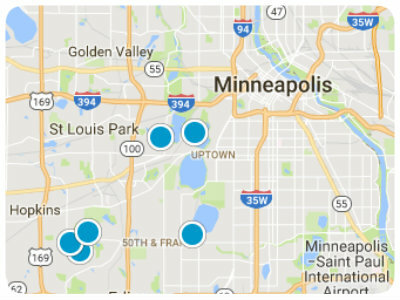 Furthermore, the famed Mall of America is located in close proximity to extraordinary Eagan. Cascade Bay, a terrific water park, is another local attraction that you will enjoy visiting. When you are ready for a quick change of pace, simply travel the short distance to the vibrant Twin Cities metropolitan area. Excellent restaurants, enthralling live performances, exciting professional sports games, impressive art galleries, interesting museums, and a thriving nightlife scene are only a small sampling of what this eclectic area has to offer you. No matter where your adventures lead you, you will be content to think of your marvelous Eagan single-family home or townhome awaiting your return. Whether you are having fun exploring nature, shopping, or attending a Minnesota Wild hockey game, you will be glad you chose to live in this superb city. Wonderful Eagan, Minnesota, real estate options are waiting to pique your interest, and you are sure to find something that suits your style. If you are ready for more information regarding incredible Eagan, Minnesota, single-family homes and townhomes, please do not hesitate to contact us.